The above quote is quite literally true. Years of brain research has provided us with an abundance of information with regards to the brain – particularly how it develops and how it functions. This information in turn, has provided us with crucial information with regards to parenting and discipline practices. As the quote implies, parents have tremendous influence on how their child’s brain develops which in turn has significant impact on their child’s success both now and in the future. A bit about the physical aspect of the brain is helpful here. At birth, a baby’s brain is about 25 percent of its approximate adult weight. Growth happens quickly and connections and circuits begin to rapidly develop. In fact, by the age of 3, a child’s brain has grown dramatically and has produced billions of cells and hundreds of trillions of connections, or synapses, between these cells. Did you know that 3 year olds have twice as many synapses as adults? Connections (or synapses) are reinforced through repeated use. The connections that are used repeatedly become the strongest and the connections that are used less begin to fade away through a natural process called pruning. A child’s environment and experiences dictate which circuits get more use. Early on, the formation of secure attachment paves the way for optimum brain development. 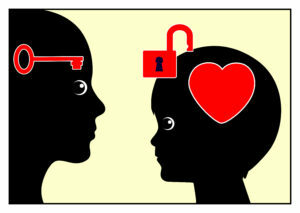 The brain is a social organ and as such, brain development takes place within the context of relationship. A child’s early experiences and the degree to which their parents and caregivers are responsive to not only their physical needs but their emotional needs, have a profound impact on brain architecture – either positively or negatively. So the bottom line is that parents should make their relationships with their children a high priority! Parents should focus on developing and maintaining a strong and healthy relationship with their children throughout their son or daughter’s childhood. This is true not only because of the impact quality relationships have on the developing brain, but because a healthy relationship between parents and children create an environment in which children are most likely to thrive, learn and cooperate. With respect to the cooperation part, a child’s level of cooperation is often related to the degree of how connected the child feels to his or her caregiver. This is partially why I always advise any parent or caregiver who is experiencing behaviour challenges with a child, to first focus on their relationship with the child and put the negative behaviour on the back burner for a while. Relationships can get frayed when there are behaviour difficulties and relationship is always where you need to start! In my Discipline with Influence Online Program, I provide a great deal of information that parents need to know about a child’s brain development and function and share info on how to develop strong and healthy relationships with children as well!